Elizabeth Southall is the pen-name of Elizabeth Barber. She was born in Victoria in 1959, one of four children of Ivan Southall, a distinguished Australian writer of children's literature. Elizabeth herself is known for her work as a children's book specialist. 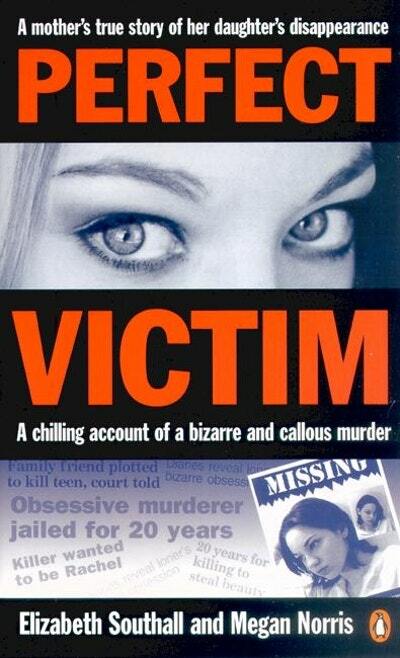 The disappearance and murder of Elizabeth and Michael's eldest daughter Rachael first made headlines around Australia in the first weeks of march 1999. Elizabeth kept a journal from that time on, including letters she'd written to Rachael. Perfect Victim stems from those writings. Elizabeth lives in Heathmont, Victoria, an outer suburb of Melbourne, with her husband Michael who is a toymaker and designer, and their two other daughters, Ashleigh-Rose and Heather. She is currently studying for a Bachelor of Theology degree and a Diploma of Ministry. Be the first to find out about Elizabeth Southall.